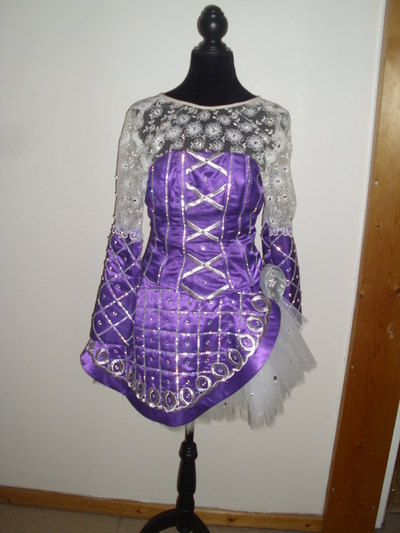 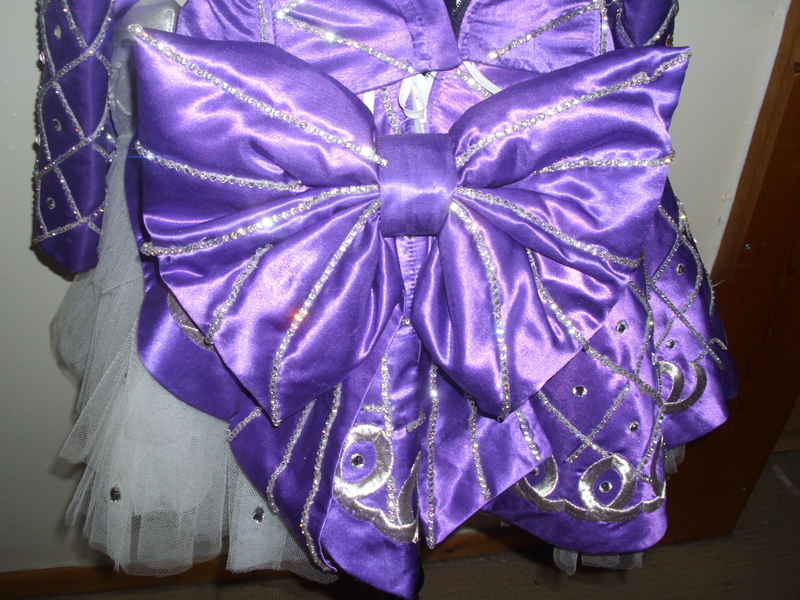 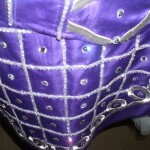 Beautiful Purple irish dancing dress with great stage prescense. 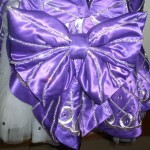 The dress comes with a separate bodice (as seen in pictures) and a bow which attaches to the back. 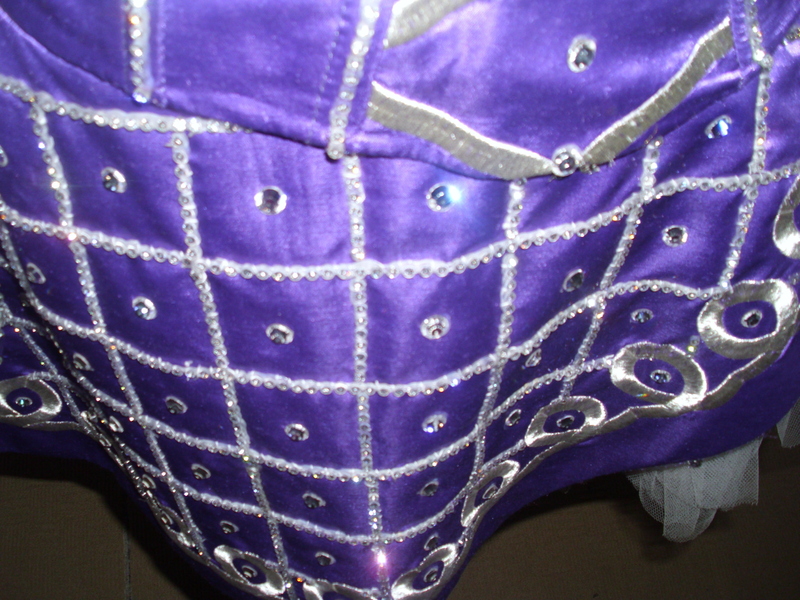 The dress which is on the dancer is the actual colour of the dress.